iConverter Network Interface Devices (NIDs) provide Carrier Ethernet demarcation for wholesale and retail Ethernet business services, 4G/ LTE mobile backhaul, small cells, carrier Wi-Fi, and cloud services. iConverter NIDs are compact demarcation devices that support advanced Performance Monitoring, Service Activation Testing, Fault Management, timing and synchronization, and protection. SDN+NFV Ready Demarcation – iConverter NIDs are integrated into service orchestration platforms with several SDN+NFV ecosystem partners. Automated Service Creation – Deploy feature-rich NIDs with Zero-Touch Provisioning and Service Activation Testing to reduce time for service turn-up. Guaranteed Performance and Uptime – iConverter NIDs support performance monitoring across Layer 2, 3 and 4 networks with advanced fault management and service protection. Simplify Inventory – Deploy the same iConverter GM4 or XM5 NID in a variety of access networks (active or passive) and for different service types to simplify equipment inventory. Tiered NIDs Match Cost to Revenue – Omnitron provides a tiered product offering to align features and costs with the different types of Ethernet services. iConverter NIDs provide MEF Carrier Ethernet 2.0 Certified demarcation for wholesale Ethernet, 4G/LTE mobile backhaul, small cells, business services and cloud services. These state-of-the-art NIDs enable new CE 2.0 services and reduce operating costs with automated service provisioning and testing. Carrier Ethernet 2.0 is the next generation in the evolution of Ethernet services, and is defined as “networks and services that enable multiple Classes of Service and manageability over interconnected provider networks”. These three service attributes of Multiple Classes of Service (Multi-CoS), Manageability and Interconnect reflect major new capabilities of E-Line and E-LAN services, as well as the addition of new E-Tree and E-Access services. iConverter GM4 and XM5 NIDs are Carrier Ethernet 2.0 Certified to deliver services that support Multiple Classes of Service (Multi-CoS), Manageability and Interconnect. 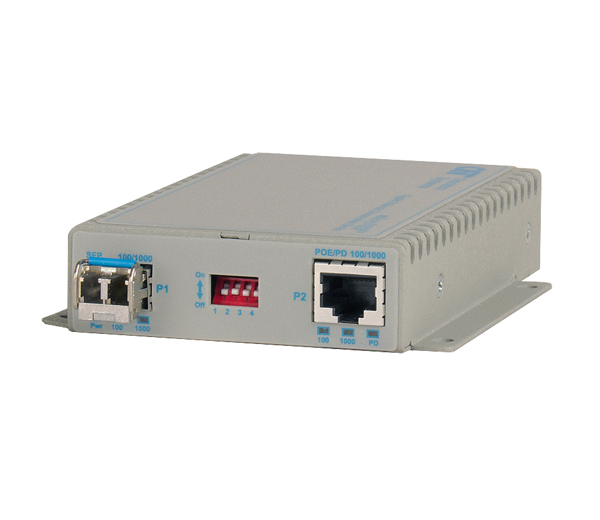 iConverter XM5 provide advanced 10G demarcation and aggregation for Carrier Ethernet 2.0 services. The XM5 NIDs feature three 10G SFP+ or XFP ports and up to four Gigabit/100Mbps SFP or RJ-45 10/100/1000 ports. XM5 Aggregation and Demarcation Devices feature two 10G SFP+ or XFP ports, twelve Gigabit/100Mbps SFP ports, and two 10/100/1000 RJ-45 ports. XM5 NIDs support advanced traffic management and policing, comprehensive Service OAM, protection switching, and automated service provisioning, service testing and validation. iConverter GM4 compact demarcation devices and have the lowest power consumption. They are available in 2 and 3 port standalone units and chassis plug-in modules, and 5-port standalone models with a variety of port configurations. GM4 NIDs support advanced traffic management and policing, comprehensive Service OAM, protection switching, and automated service provisioning, service testing and validation. These advanced capabilities reduce operating costs, provide faster return on investment (ROI) and improve customer satisfaction. iConverter GM4 PoE NIDs deliver advanced Carrier Ethernet 2.0 services and provide integrated Power over Ethernet (PoE) at the demarcation. GM4 PoE NIDs support all the functions of the GM4 NIDs, and add 802.3af PoE (15.4W), 802.3at PoE+ (30W), and up to 60W on each RJ-45 port for small cell and WiFi applications. The iConverter HybridNID enables the delivery of E-Access wholesale services with value-added revenue from independent SLA verification. The HybridNID clearly defines the service responsibilities between the Service Provider and the Access Provider with dual management elements that support secure and independent management access. The HybridNID is available in GM3 and GM4 configurations. 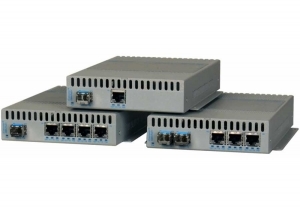 iConverter GM3 NIDs provide MEF 9, 14 and 21 certified demarcation for Ethernet services delivered across one or more operator networks. IEEE 802.1ag and ITU-T Y.1731 Service OAM provides the fault detection and performance monitoring necessary to ensure proper enforcement and compliance to SLAs. The GM3 NIDs support Zero-Touch Provisioning (ZTP), color-aware rate limiting and Class of Service differentiation and prioritization. The iConverter SFP-NID is a Small Form Pluggable (SFP) Gigabit optical NID that enables Service Providers to deliver low-latency, SLA-guaranteed Business Ethernet, 4G/LTE macro cell and small cell backhaul services. The SFP-NID can be installed directly into a switch, router or small cell, and saves Capital Expenditures (CAPEX) by eliminating the need for a standalone demarcation device. It also reduces Operating Expenditures (OPEX) by decreasing power consumption, space, installation and maintenance costs. The iConverter microNID , a low-latency, compact and cost-effective Network Interface Device (NID) that provides service activation testing, fault and performance monitoring. The microNID enables Service Providers to deliver SLA assured services where cost, space and power consumption are constraints. Cable MSOs can deliver value-added services over their existing DOCSIS networks with guaranteed Quality of Service. The iConverter M2 Class NIDs provide Ethernet E-Line service demarcation for services that do not require SLA performance assurance. These cost-effective NIDs support 802.3ah Link OAM with fault detection for Ethernet in the First Mile (EFM) access links. The M2 NIDs provide MEF 9, 14 and 21 certified Ethernet service demarcation in telecom networks, and mission-critical managed fiber links in enterprise, government and utility networks. M2 Class NIDs are available in 2-port standalone units and chassis plug-in modules that support copper-to-fiber and fiber-to-fiber demarcation. The copper-to-fiber M2 Class NIDs include the iConverter 10/100M2 with a 100Mbps fiber and a 10/100 RJ-45 port, and the iConverter GX/TM2 with a Gigabit fiber and a 10/100/1000 RJ-45 port. The iConverter fiber-to-fiber M2 Class NIDs include the 100Mbps iConverter 2FXM2 and the Gigabit iConverter 2GXM2.